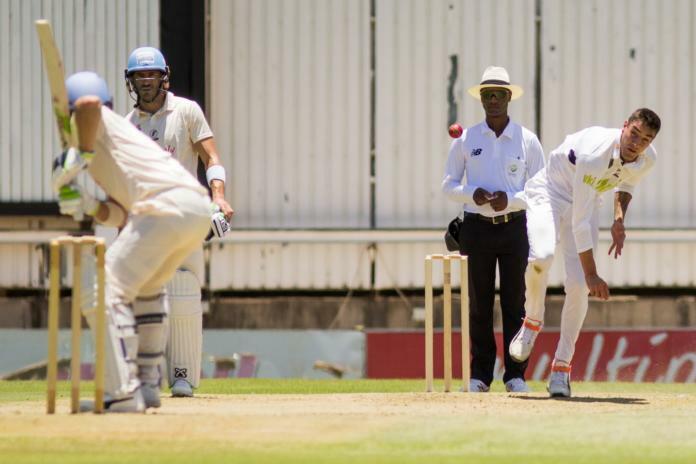 The VKB Knights and Proteas seamer, Duanne Olivier, came agonisingly close to creating cricket history on Monday during the third and final Test against Pakistan which was played at the Wanderers in Johannesburg. Olivier fell one wicket short of equalling the record for the most wickets in a three-Test series, which was set way back in 1903. The 26-year-old fast bowler dismissed the Pakistan skipper, Sarfraz Ahmed, for a first-ball duck, taking his tally to a staggering 24 wickets for the series. Sadly for Olivier, it was his last dismissal of the series and this is largely due to a fiery spell by the leading bowler in Test cricket, Kagiso Rabada. This meant that Olivier was left one short of the record set by Carlie Llewellyn set a 116-year-old when he claimed 25 scalps against Australia. Even more remarkable is the fact that although Olivier was named in the original squad, he was never meant to play in series, but he got his chance due to Vernon Philander sustaining an injury during the Mzansi Super League. Philander was not ready for the first Test against SuperSport Park in Pretoria. Olivier stepped in and claimed Test figures of 11/96. This left Ottis Gibson with a poser as Philander was ready for the 2nd Test, and there were talks about the tall seamer being dropped. Instead the spinner, Keshav Maharaj has to make way for Big Vern, and Olivier went on to record figures of 5/132 for the Newlands Test. During the final Test, Olivier took 5/51 which saw Pakistan bowled all out for 185 in their first innings while he claimed 3/74 in the second innings taking his tally to 24 for the series. Rightly so, this saw Olivier being named at the Player of the Series. During the MSLT20, Olivier topped the wicket-taking list with 20 scalps for the champions, the Jozi Stars.